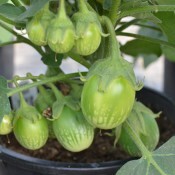 Emerald Isle is an unique variety bred specifically for container production. Its compact habit makes it a perfect choice for mixed flower and vegetable planters. 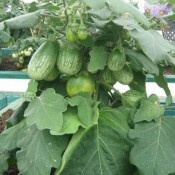 Traditional eggplants can be tall and require staking and are difficult to handle at times as they are thorny. 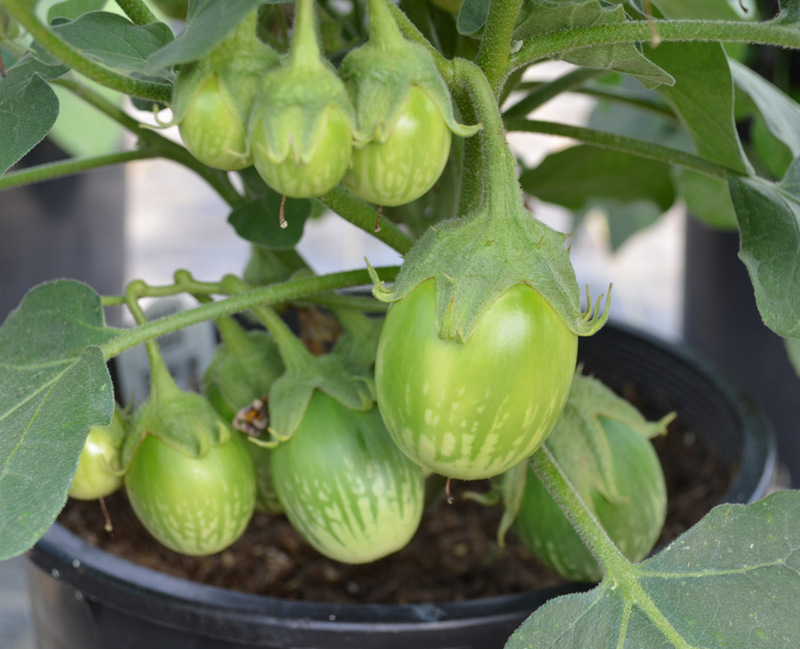 Emerald Isle stays compact and does not require staking and is thornless unless stressed, making it much easier to handle and harvest. 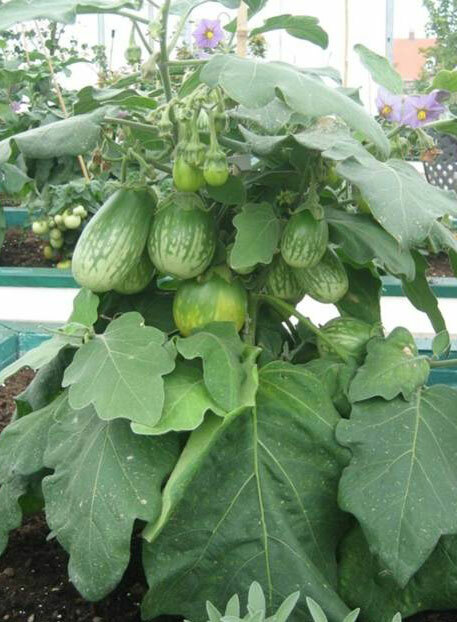 This prolific variety yields pale green fruits with dark green veining. 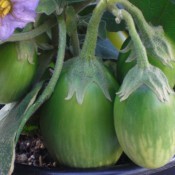 The oval shaped eggplants which average 2 oz (50 g) should be harvested when they are approximately 3-4 inches in size. Emerald Isle has a tasty bitter-free flavour and does not need to be salted before cooking. Emerald Isle is versatile. It can be cubed and added to casseroles, stews and ethnic dishes or it can be sliced and grilled. 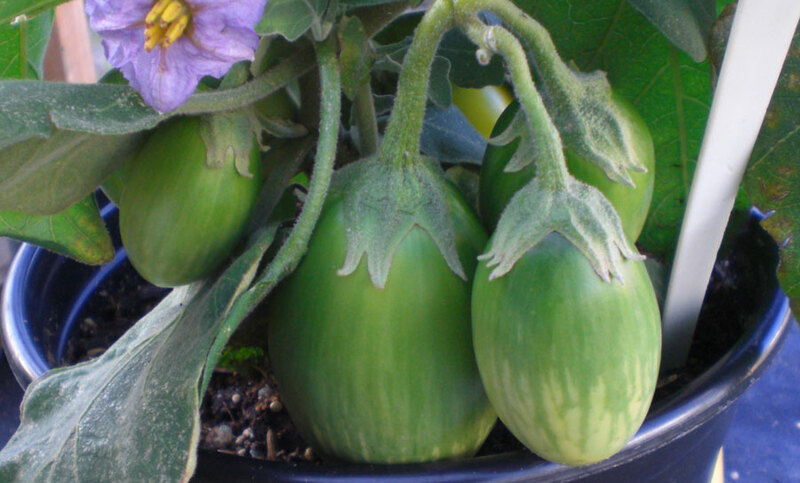 These aubergines are a favourite in Asian cuisine.